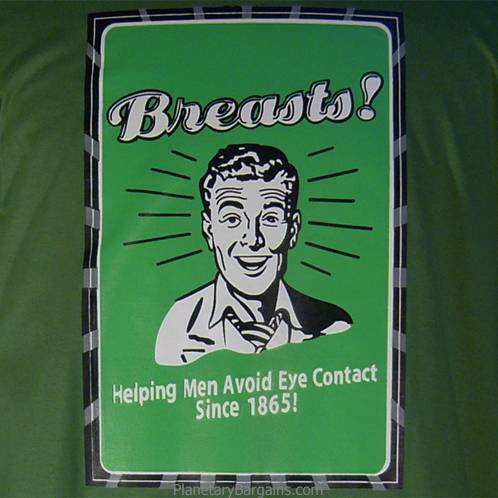 Own this 100% Cotton, Funny Breasts Help Avoid Eye Contact T-Shirt. This shirt is preshrunk, durable and machine washable. Available in a variety of sizes. To buy one of these limited quantity shirts press the orange button above now. "I'm glad I found your site. The quality was great and I will be sure to order from you again in the future....Thanks again!" "Easy transaction and fast international shipping! Wonderful seller! Thanks! "